Mirrors are everywhere. They’re tucked into the sun visors in cars, plastered on the top of retro furniture, and stuck onto the walls of even the smallest rooms. Sneaking a glance at that reflection is easy, and when some people look into these mirrors, they don’t like what they see. For example, Do Something suggests that only about 5 percent of women have bodies that naturally conform to the modern definition of beauty. As a result, up to 91 percent of women are unhappy with their bodies, and they use all sorts of drastic techniques to amend their shape. Similarly, few men naturally look like the muscle-bound creatures that strut around in action films and graphic novels. As a result, many men use muscle-enhancing techniques to make their bodies conform to that standard of beauty. In a study of the issue in the journal Pediatrics, researchers found that 34.7 percent of teens used protein powders or shakes, and 5.9 percent used steroids. These behaviors were much more common among boys, the researchers said. Amending body chemistry or bending body shape can be extremely dangerous as a standalone behavior, but some people who engage in these acts compound the damage by using drugs or alcohol too. Everyone who is alive must eat. Bodies rely on food in order to carry on with all sorts of critical functions. 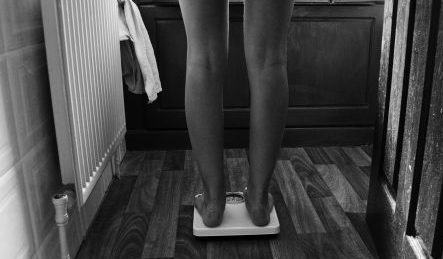 When people amend the way in which they eat in a dramatic fashion, making critical body functions difficult or impossible, eating disorders are in play. Anorexia: Self-imposed starvation characterizes this eating disorder. Those with anorexia don’t eat regular meals on a regular schedule. Instead, they skip meals altogether, or they eat only foods they consider to be low in calories, such as popcorn, celery, or rice cakes. Bulimia: Those with this disorder use purging in order to limit weight. They might use vomiting, laxatives, or both to ensure that the calories in food don’t make their way onto their bodies. Binge eating: Uncontrolled eating followed by uncontrolled purging characterizes this condition. People with this disorder might eat in a sort of trance, stopping only when they cannot eat any more. Purging is sometimes seen as a necessity, in order to reduce the pain that comes with overeating. Compulsive eating: People with this disorder might also eat until they are uncomfortably full, but they might not purge the excess food. Obesity is a common part of this disorder. These disorders can cause both physical and mental pain. Clearly, they’re not conditions anyone would choose to have. And experts aren’t quite sure why people who struggle with eating disorders develop them, while others can eat normally for all of their lives without ever getting eating disorders. It’s possible, according to ANRED, that psychological factors play a role. People with eating disorders often have perfectionistic thoughts. They resist the idea that their bodies can be anything less than perfect, and they blame themselves when they can’t achieve the results they’re looking for. These thoughts can also bleed into other parts of the person’s life. Relationships, work, school, and more can all be targets of a person’s perfectionistic tendencies, which could make the person feel like a failure in all sorts of areas of life. If people with eating disorders often feel out of sorts, upset, and defeated, it’s easy to see why drug use might be appealing. A hit of drugs might be capable of bringing this person at least a little bit of relief in a life that seems confusing and upsetting, and that might be a mood boost that these people need and can’t get via any other method. Drugs can also come with special benefits that can appeal to those with eating disorders. 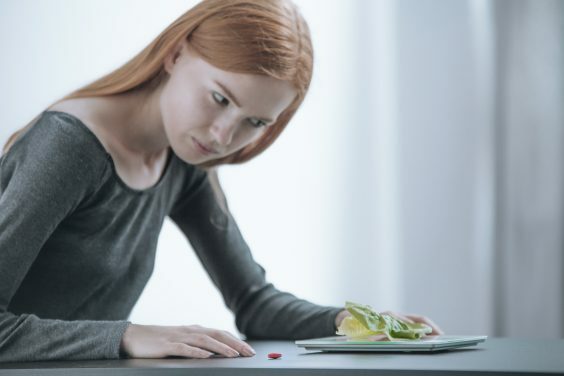 For example, research cited in Social Work Today suggests that some drugs can help to suppress the appetite, which could make living with anorexia just a little bit easier. These people are often desperately hungry and determined to do anything to keep from giving in to the need to eat. If drugs make signals of hunger seem to disappear, they could seem like useful tools to someone with anorexia. Similarly, some substance abuse disorders seem to be a little easier to manage when people have existing eating disorder issues. For example, people who abuse alcohol often take in a great deal of the substance all at once, and they become profoundly drunk long before they intended to do so. A bulimia habit could make this a little easier to handle, as people who have bulimia are well equipped with self-vomiting techniques. If these people binge on alcohol, they could simply vomit the drug back up and keep drinking. Alcohol could also be useful for those who have eating disorders associated with anxiety, according to research in The Seattle Times. People who grow worried at the thought of even consuming a meal could feel as though a drink could relax them enough so they could eat. To them, the alcohol is a useful tool that allows them to manage a part of their disorder that they simply can’t handle alone. Given that there are a number of reasons people with eating disorders might cite when it comes to substance use, it’s not surprising that a great deal of people who have eating disorders often have addictions. In a groundbreaking (and often cited) study of the issue by CASA, researchers found that those who had eating disorders were up to five times as likely to abuse alcohol and drugs, when compared to those who didn’t have eating disorders. Also, up to 35 percent of those who abuse drugs or alcohol had eating disorders, compared to 3 percent of the general population. It’s possible that people with eating disorders think that their drug and alcohol habits are useful tools. The substances they take in make living with their disorders easier, or their underlying habits seem to make drugs and alcohol less dangerous. But drugs and alcohol can be insidious, changing brain chemistry in deep and drastic ways, while people who take in the substances simply don’t see the changes happening. That means a substance abuse issue could develop with incredible speed, even while the person thinks the drug or alcohol use is totally under control. Living with an eating disorder clearly isn’t easy. If people feel compelled to self-medicate with drugs and alcohol, it’s obvious that their disorders cause them a great deal of distress, and that they’re willing to do almost anything to make things better. Thankfully, people who have eating disorders can and do get better with the right kind of help. For example, according to the Cleveland Clinic, long-term recovery rates for anorexia are as high as 76 percent, while short-term recovery rates for bulimia are as high as 70 percent. With the right kind of therapy, provided at the right time, people can come to an understanding about the importance of good nutrition, and that can help them to eat in a more reasonable way. But having an addiction underlying an eating disorder can make the healing process a little more difficult. For example, people with an addiction issue often struggle with deep-set cravings for the drugs they once took on a regular basis. Their amended brain cells don’t seem to function well without the drugs, and those cells call out for drugs. The calls can grow stronger during times of stress. People who are in recovery from an eating disorder might experience intense cravings for drugs during the moments at which they once used drugs. If they relied on alcohol to make eating dinner less stressful, they might have a desperate need for a drink when the sun begins to set. If they used cocaine in the morning to keep hunger at bay all day, they might develop intense dreams about the drug that awaken them in the early hours of the day. Some drugs can also erode a sense of control and willpower, too, so people might find that they slide back into disordered eating after a relapse to drugs or alcohol, even if they’ve made great strides in recovery in the past. Since eating disorder recovery and ongoing addiction are so closely related, experts often recommend co-occurring therapies. That is, experts suggest that people who have eating disorders get treatment for addiction at the same time. Unfortunately, that kind of comprehensive care can be hard to find. In a study performed by the Substance Abuse and Mental Health Services Administration, of 351 treatment programs for drug abuse that were publically funded, only 16 percent provided care for eating disorders too. So while experts recommend co-occurring care that deals with both addiction and eating disorders at the same time, these aren’t the sorts of programs that consumers can easily find and sign up for. But just because the programs are a little rare, that doesn’t mean they don’t exist. There are a number of different programs all across the country that can help you to recover from an addiction and an eating disorder at the same time, but you might need to travel to get that kind of care. You might need to leave your city, or even your state, to find the program that can give you the comprehensive care you’re looking for. That travel could be well worth your time. In a co-occurring disorders program, your therapies will give you the tools you’ll need to get control over both disorders, and your work will be focused on assisting you with each and every problem you might be facing right now. You won’t need to hide one disorder or ignore it. You’ll be able to handle all of the issues at once. 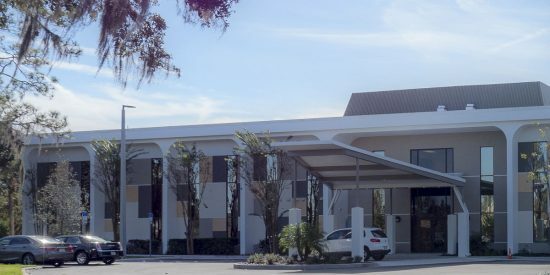 If you’d like to find out more about how specialized programs for eating disorders and substance abuse work, or you need help in finding a facility that could give you this level of care, please call the number at the top of this page. We have operators standing by around the clock to help you to get started on your long-term healing and recovery.